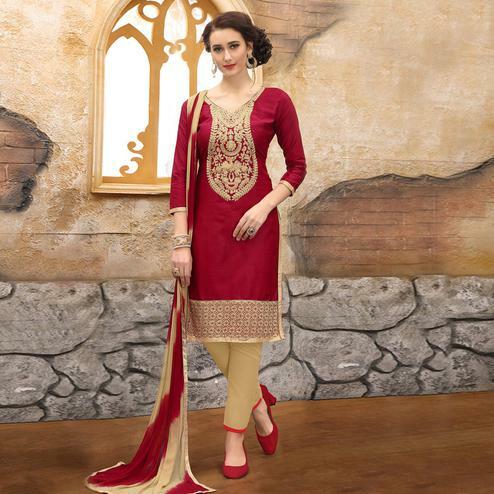 Get an attractive ethnic look wearing this beautiful pink colored party wear dress material. 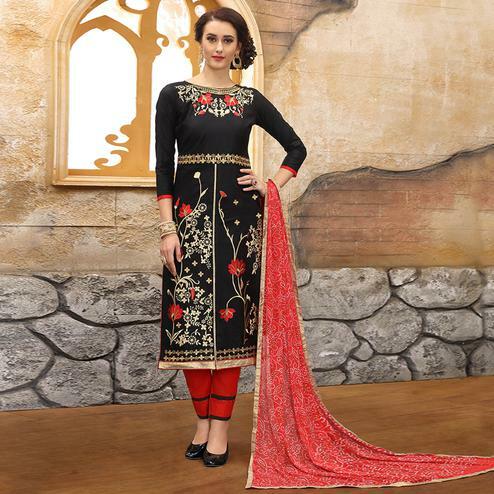 This heavy glass cotton straight suit is stylized by beautiful zari and thread embroidery work. Comes with matching semi lawn cotton bottom along with lace border chiffon dupatta all synchronized well with the latest trend and style. This un-stitched suit would surely attract you showers of compliments when you wear it for parties, functions or occasions. Pair it with classy accessories and heels to make the look more outstanding.